While I was visiting Washington DC for a few days, I stayed in College Park, Maryland. I had just over a mile walk to the nearest metro station to take the train into DC for some sightseeing. During this walk, I stopped for breakfast at a restaurant called the Bagel Place in Downtown College Park. I had pizza right outside the University of Maryland in the town of College Park at a restaurant called Pizza Autentica. This is apparently a local chain in the Washington DC area that seems to specialize in pizza and gelato. We ordered a pepperoni pizza. While the pie wasn't bad, I did find it to be undercooked. The crust was still very doughy and really didn't have any crunch. We were at the restaurant about an hour before they closed. I wonder if this had anything to do with the rushed cooking of our pie with the employees wanting to get the cooking over with and the restaurant cleaned up sooner? The cheese & sauce were tasty and they were generous with the amount of pepperoni on the pie. This would have been a pretty good pizza if only they cooked it longer! The closest skiing that I was able to find was a bit over an hour away from where I was staying at a place called Whitetail Resort in Mercersburg, Pennsylvania. A day pass to the beginner slopes, equipment, and lessons wasn't exactly cheap but I was committed to either learn how to ski or end up with some broken bones. It turned out skiing came surprisingly easy to me and was going down the slopes in no time. After going down the slopes for a while, I was getting hungry and it was time to eat. The main restaurant here was called the Whitetail Resort Marketplace. It was set up cafeteria style with several different stations each serving something different. There were stations for burgers, sandwiches, pizza, sushi, or the daily special which I choose. This was barbecue chicken served with two sides. I choose beans and macaroni & cheese. For a restaurant set up like this, the food was surprisingly tasty. The chicken was nice and moist with plenty of flavor. The macaroni was nice and cheesy, but unfortunately the beans were very overcooked. Can't win everything. This meal also seemed like the best deal in the place, especially since a sandwich with no sides was the same price. After food, I returned to sliding down snow covered mountains at high speeds on boards attached to my feet. I would totally go skiing again! 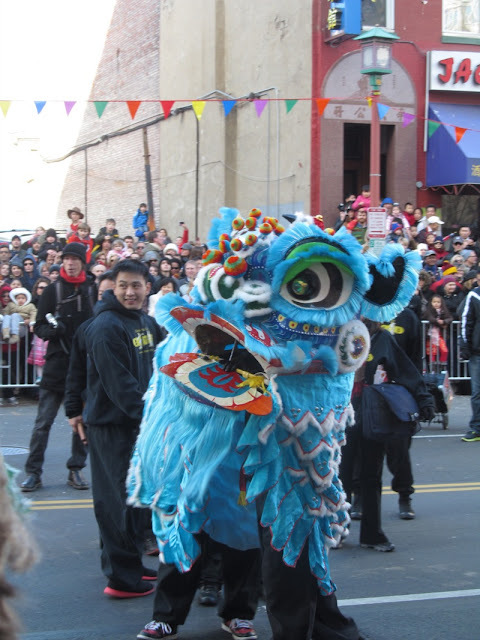 While visiting the DC area, we were on our way to the National Zoo when we decided to stop in Chinatown for some lunch. Much to our surprise when we emerged from the Metro, we happened to randomly decide to stop in Chinatown during the Chinese New Year, shortly before the big parade started. I've been to this Chinatown in the past and I've never seen it so packed, meaning wait times in restaurants were suddenly a factor in choosing where to eat. Joy Luck House was where we finally settled on. 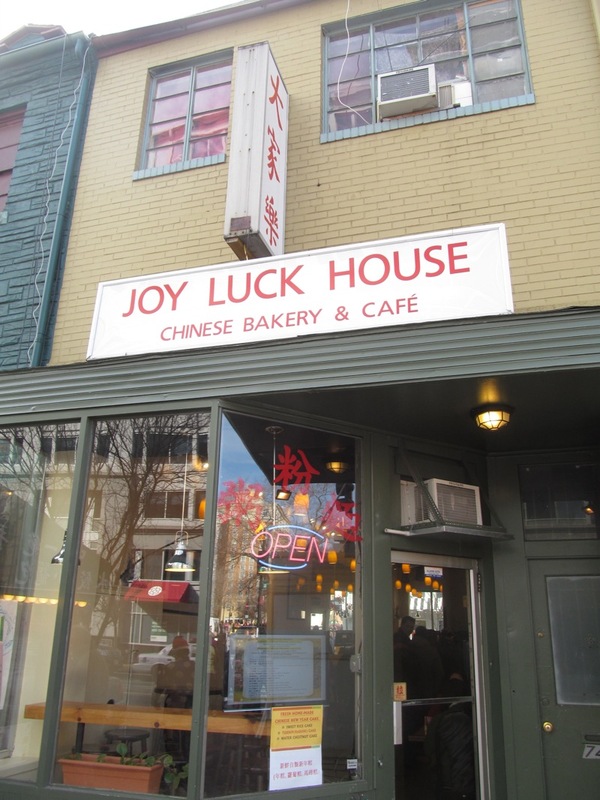 The Chinese pastries from Joy Luck House seemed to be very popular. I tried a coconut bun while I was waiting for the rest of the food. This was a tasty, slightly sweet roll, filled with a coconut paste. I was planning on getting one of their baked goods filled with red bean paste, but the person ahead of me bought them all. Since this was DC in the winter, it wasn't exactly warm out. That's why I decided to have one of Joy Luck's noodle soups for my lunch. I choose the shredded pork with pickled cabbage noodle soup. I wasn't exactly sure what to expect with the pickled cabbage, but to me it tasted like normal cabbage in the soup. Besides the pork and cabbage, the soup was filled with carrots, snow peas, herbs, and thick noodles in a tasty broth. I was expecting something a little different with the pickled cabbage, but regardless, this soup was still good and very satisfying. As soon as we finished eating, we ventured back into the crowds outside and watched the parade. Chinese dragons, especially when they were totally unexpected, completed my visit to Chinatown! On my latest bit of traveling, I made my way up to the Washington DC area for a few days. My first food experience while up there was breakfast at a restaurant called Kay's Diner IV located in the city of Beltsville, Maryland. The restaurant was set up cafeteria style and was very affordable for breakfast. I ordered one of their breakfast combos which came with scrambled eggs, home fries, toast, and a choice of a meat. I could have chosen a standard breakfast meat like bacon or sausage, but I was distracted by scrapple. Scrapple is similar to a meatloaf, made with pork scraps and grain. It is apparently very popular in this area and was invented by the Pennsylvania Dutch. I've found that scrapple has somewhat of a bad reputation, I guess because of what it's made from (pork head, heart, liver, and other trimmings according to Wikipedia), but that wasn't going to stop me from trying it. Turned out that the scrapple was actually pretty tasty. It had a flavor similar to some breakfast sausages that I've had. The rest of the food here was pretty standard as breakfast items go. The potatoes were somewhat bland but were fixed up with sriracha. Everyone seems to like restaurants when they give out free food. Italio is a new restaurant in Winter Park that just gave out a whole bunch of free food. This place is a fast-food restaurant set up very similar to a Chipotle, only serving pasta rather than burritos. That is, except for what they call Piadinas, which sounds very much like a pasta filled burrito to me. For Italio's grand opening, they offered their food for completely free. I was told that the line wasn't worth the bother for most of the day, but I decided to see what happened by stopping in about a half hour before they closed at 9:30. Turned out they shut down their long line early, but they gave me a coupon to come back and have a free meal a couple of days later. I took them up on their offer and decided to get a pasta bowl on this visit. Since this place was set up like a Chipotle, everything was self-selected. I choose whole-grain pasta, shrimp, alfredo sauce, chickpeas, spinach, black olives, bruschetta, sauteed peppers & onions, raw onions, basil, and mozzarella. The bowl of pasta was huge and was tasty too. It would have been nice if they tossed everything in the bowl together though. The pasta was hidden far beneath the other toppings, and the alfredo sauce didn't seep down to the bottom of the pasta either. It's a minor thing that I'd probably do myself next time if I return. 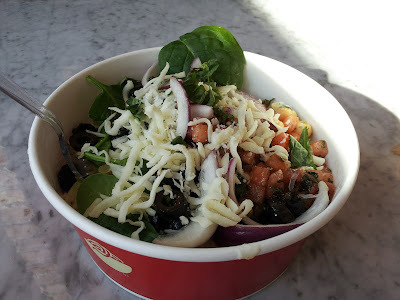 Overall, the concept of pick your own toppings for pasta was interesting and there does seem to be an opening in Orlando for fast food Italian food after all of the Fazoli's closed. I foresee this place doing well. Wolfy's is a restaurant in Downtown Sanford that's been there as long as I can remember. It's located next to the marina and has a wonderful view of Lake Monroe. As with any restaurant that has been around for a long time, Wolfy's must be doing something right. I just don't see what this is. It had been a while since I'd visited Wolfy's mostly because I remembered mediocre food and horrible service on all of my previous visits. When I decided to try Wolfy's again, I found this visit was more of the same. Siro: Urban Italian Kitchen is a new restaurant that recently opened in the Orlando World Center Marriott. Siro uses fresh farm-to-fork ingredients, many of which come from local sources in the Central Florida area. Just before they opened to the public, I was invited to try Siro during their media preview dinner. I was excited to try some new Italian food! The evening started with a tour of Siro's huge kitchen where Chef Anthony Burdo was introduced. Back in Siro's dining room, we started to try a selection of the foods offered in the restaurant. I'm separating the food pictures below as they are described on Siro's menu. Siro had three different menu items called Boards. These included meat, cheese, pork roast almonds, and olives. The Toscana: Finocchio, Pecorino Toscano, and Bresaola. Siro Sausage and Peppers: Topped with hot and sweet peppers. The sausage had nice flavor and the hot peppers caught me a little off guard because they were actually spicy. Spicy toppings on pizza is good. Green, Eggs & Ham: Arugula, prosciutto, and sunny side up egg. The egg was from a local farm and there were greens on the pizza. Green eggs. Get it? Ripe Tomatoes: Heirloom tomatoes, ricotta salata, basil, and mint. I love being served tomatoes that are other colors than the standard red. 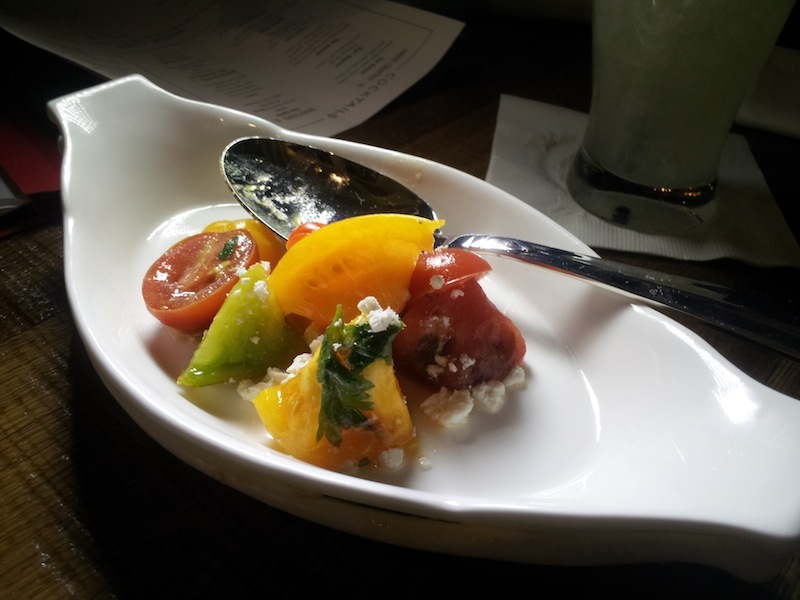 Golden Beets: Served with pistachio and soft goat cheese. Beets are good. Yellow beets are better (for the same reason that colorful tomatoes are better)! Eggplant Caponata: Eggplant, greens, and whipped ricotta served on bakehouse bread. Crisp Baby Artichokes: With a yogurt mint dip. Big Green Bowl: Local lettuces and greens, soft herbs, simple vinaigrette. Burdo's Famous Veal Meatballs: In a pomodoro sauce. Daily Roast: This was a whole roasted market fish. I believe the fish of the night was snapper. The fish was nice and flaky. The Burger: OWC bakehouse bun and handcut fries. Braised Pork Shank: Served over white beans. Another pork dish from a more enjoyable part of the pig in my opinion. The meat was tender enough to easily fall off the bone. Veal Saltimbocca: With garlic rapini. Cheese Tortellini: Butternut squash and sage brown butter. As simple as it was, this was one of my favorite dishes of the night. The large, cheese filled dumplings were topped with cubed squash and basil leaves. I tried two drinks at Siro, both of which were non-alcoholic from the Refreshers section of the menu. 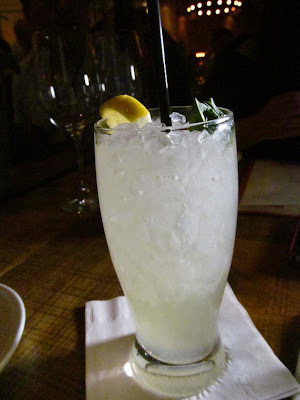 The Understudy: Fresh lemon, basil, simple syrup, and Fever Tree tonic water. This was like a lemonade that was a bit heavier with the tart lemon flavor as opposed to the sweeter flavors that are normally more prevalent in lemonades. I liked it! 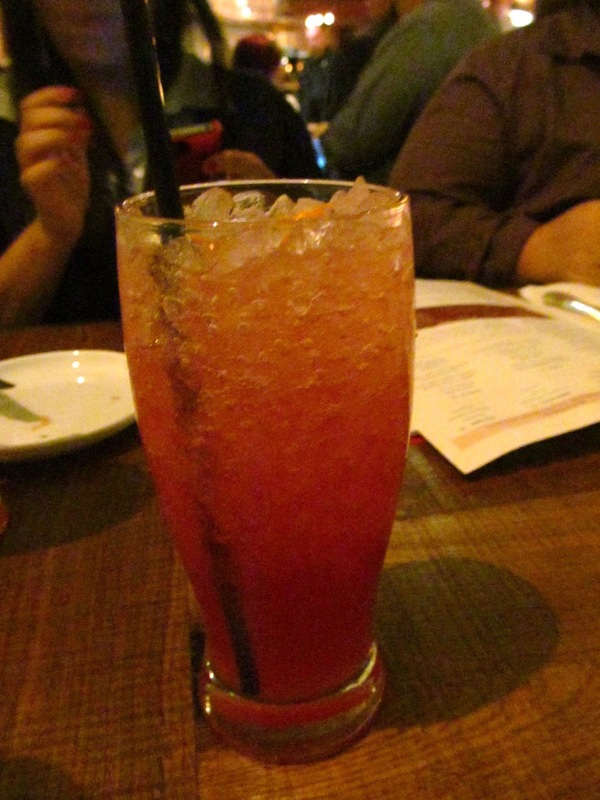 Italian Soda: Blood orange, simple syrup, and club soda. This reminded me of a carbonated orange juice. Again, it wasn't overly sweet with a strong orange flavor. Cake Pops: These had a very intense, rich chocolate flavor. Almost bordering on the chocolate intensity of fudge. Cannolis & Zeppole: Two classic Italian desserts. Everyone seems to love the custard filled cannolis and the sugar coated doughnuts that are zeppole. And that concludes the food pictures from Siro: Urban Italian Kitchen. It is always refreshing when an Italian restaurant gets creative and does more than the stereotypical dishes like spaghetti & meatballs and lasagna. Siro definitely moved away from the boring Italian standards, which was a very good thing!